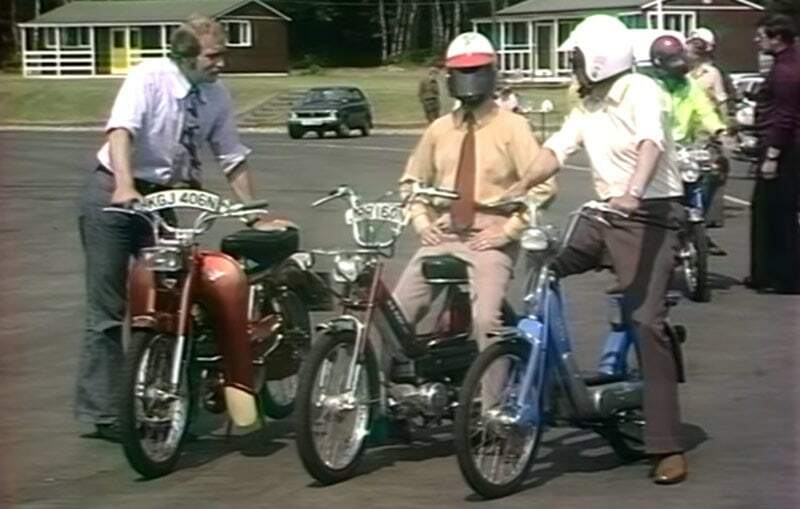 In 1975, Thames TV visited a test day for motoring riders and looked at the latest mopeds and motorcycle price options. There was a range of different options to choose from with the cheapest option being a single seat, automatic transmission and single speed moped which you in 1975 could acquire from just £90 for the most simple models, to £300 GBP for the super sports models. The more sophisticated models of motorbikes with 2 seats, 4-6 speed had a price tag of £220-300 GBP. The video offers a nice review of the most popular models – and a reminder of the 1975 price level! Spanning 50 years of Television excellence, Thames TV has produced some of the most ground-breaking and innovative factual programming. From exclusive interview with fallen Dictators to documenting the latest technological developments.